The Fair Work Commission has handed down a ruling relating to flexible working arrangements applicable from 1 December 2018, as part of its push to improve family-friendly provisions in workplaces. While most awards and agreements have had workplace flexibility provisions in the past, these have now been amended to increase the onus on the employer to genuinely seek to work with the employee to come up with a workable solution, and to not unreasonably refuse any request. You must now meet with your employee to discuss their application and not just rely on their written application alone. The details about what constitutes reasonable grounds for refusal have also been clarified. If you refuse their request, you must do so in writing and provide detailed reasons as to the grounds for your refusal. You need to check the terms in the Award or Industrial Agreements that cover your business as there is variance in what you need to include in your written response if you refuse an application. One more thing to note, employees have now the right to lodge a dispute if you have not genuinely consulted with them, or your written response does not comply with the requirements outlined in the award/industrial agreement for what needs to be included in your response. 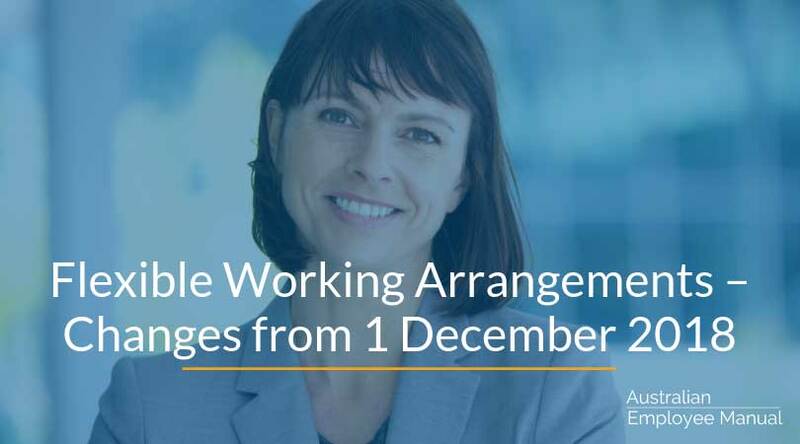 Read more about changes to Flexible Working Arrangements on the Fair Work Website. Review all awards/ industrial agreements that cover your employees to understand what provisions apply in your situation. Update your employee manual to reflect the new flexible working arrangement provisions. (Our Employee Manual contains an updated clause that you can use). Review your application and approval process to ensure that it meets the new requirements. 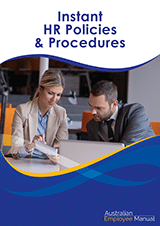 Notify your team of the changes to your policy and procedures. Consider extending these rights to award free employees to ensure you have consistent processes and application across your workforce.